A selection of work from NVA's 'Island Drift' is now on show within Creative Scotland's offices in Edinburgh. Island Drift is an immersive photographic installation, funded by Creative Scotland and created in partnership with Loch Lomond & The Trossachs National Park for the Year of Natural Scotland 2013. 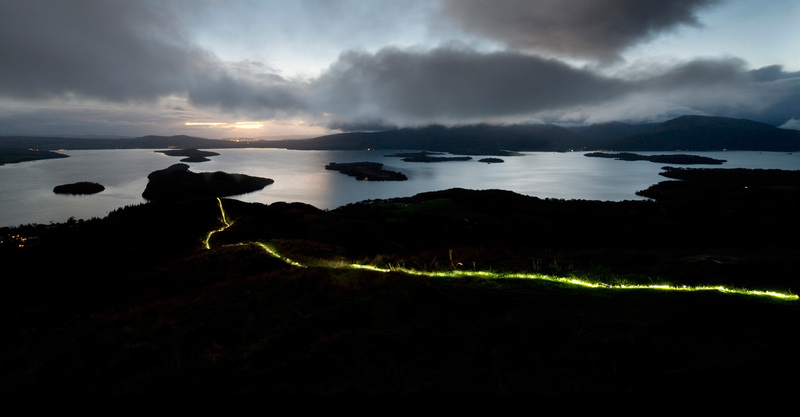 During an eight month programme of creative interventions at Loch Lomond, designer James Johnson and photographer Alan McAteer worked with NVA’s creative director Angus Farquhar and park rangers to manipulate moving and static light sources on land and water. Multiple camera positions were used to achieve a powerful series of digital images articulating the Highland boundary fault line. The exhibition was originally made for and exhibited at Street Level Photoworks (Nov 2015 - Jan 2016). Street Level were commissioned by NVA to deliver the Island Drift engagement programme, involving primary schools from the Loch Lomond & The Trossachs area in some of the creative photography techniques. Pupils took part in sessions that explored manual camera techniques, panoramas and painting with light with an exhibition of the pupils’ works taking place at Cashel Native Forest Centre in May. The image above describes with a line of light the Highland Boundary Fault as it cuts through the southern end of Loch Lomond, running from Conic Hill on the Eastern shore across the islands of Inchcailloch, Torrinch, Creinch and Inchmurrin. The fault line continues diagonally across the width of Scotland, from Stonehaven in the East to Arran in the West, marking the geological transition from the Lowlands to the Highlands. The image was created by placing hundreds of narrow beamed high intensity torches down the ridge of the feature. 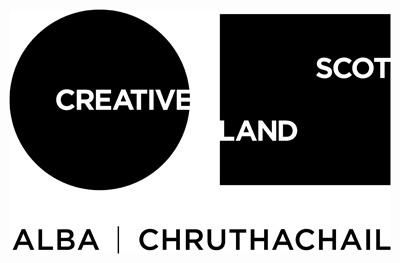 Please contact reception at Creative Scotland to arrange a viewing.